City of North Rhine-Westphalia, a hundred kilometers from the border with Belgium, Bonn is a modern city rich in history. Ludwig van Beethoven was born here, and his spirit pervades the whole city. Today Bonn is a modern city of just over 300 000 inhabitants on the banks of the Rhine River, home to several international organizations, thriving industrial and academic area. The visit to Bonn can only start from the house of the German composer born here in 1770: Beethoven's house is on Bonngasse a short walk from the centre. Other attractions include the Old Town Hall (Altes Rathaus) in baroque style, on the Marktplatz, which hosts the summer cultural program, the Bonner Sommer, and the castle of Poppelsdorf, also popular for its concerts and which hosts the Mineral Museum and the botanical garden. The city's cultural life revolves around the art gallery Bundeskunsthalle - home to world-class exhibitions . the Kunstmuseum Bonn, the Museum of Fine Arts and the Museum of mathematics, Arithmeum. Other museums are the Museum of History of the Federal Republic of Germany, Haus der Geschichte der Bundesrepublik Deutschland, and the German Museum, Deutsches Museum, on the progress of science and technology. Bonn is a modern city, where shopping is an activity that engages citizens and tourists. The areas of shopping are in Bonn Gode - a wide pedestrian street, with cobbled, small streets around Marktplatz - and the gallery Kaiserpassage with dozens of shops of all kinds. From a congressual point of view, Bonn offers several solutions: the International Convention Centre IKBB, Internationales Kongresszentrum Bundeshaus Bonn, in the Gronau district on the banks of River Rhine, the convention center Beethovenhalle, in the south of the city in the district of Godesberg, and the exhibition building Bundeskunsthalle, at the intersection of Willy Brandt-Allee, the Reuterstrasse and the Adenauerallee leading to the centre. 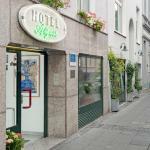 Most of the hotels in Bonn are located in the historical centre and further south, in the Godesberg area. 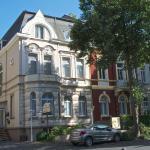 Located in the museum district and near the government district of Bonn, Derag Hotel and Living Hotel Kanzler is situated near the metro station Museum König. 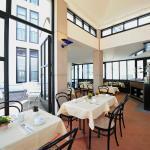 Insel Hotel is a modern property located in the city of Bonn in the district of Bad Godesberg. 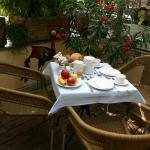 This hotel is a good value for money, boasts all modern amenities and offers, every morning, a rich breakfast buffet. This historic hotel Sternhotel Bonn is located in Bonn's city centre and offers modern and spacious accommodation with Wi-Fi access. The House of Beethoven and the shopping area can be reached by a short walk. 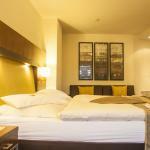 The Hilton boasts a wonderful location on the banks of the river Rhine in the heart of the city of Bonn. 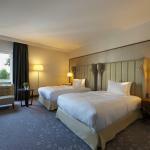 In a short walk you can quickly reach the main attractions and the most famous monuments of the city.